A pair of steel adjustable rear toe arms for Nissan R33 models with a new super tough black coating on the rods and Black ECote on all the fittings for a robust finish. Everything you need to fit these arms to your car is provided for an easy bolt on replacement. These arms will allow you to determine the amount of rear toe-in that your car runs - when you first lower your car you'll usually find that the rear toe has increased quite dramatically, so you'll want to get that dialled out to ensure the car keeps driving as well as it should. They are also kinked to provide greater subframe clearance on low cars in comparison to our regular Nissan Toe Rods. On drift cars, rear toe can be adjusted to determine how "loose" the rear of the car feels, as well as increasing or decreasing forward traction. These will not work with our HICAS Eliminator Kit. 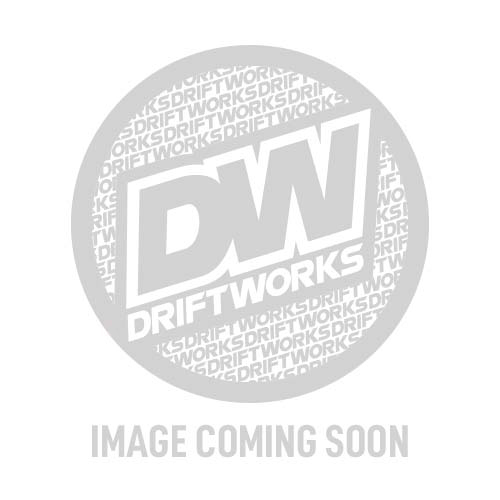 Driftworks alignment arms are sold with a two year warranty against rod end and bearing failure along with a lifetime warranty against structural arm failure. Do not confuse these with cheap, generic arms - they're the same ones used on championship winning drift and track cars around the world. If you need any technical help with these arms please contact our tech guys and they will be happy to help!